Today the XCo was humming away like a generator, covering 760 clicks of deserted dual carriageway and Autovia strung out in an arc between Madrid and the Portuguese border. All at a 95kph average but never exceeding 110. A week ago I was bracing against deeply unnerving gales in northern Scotland. 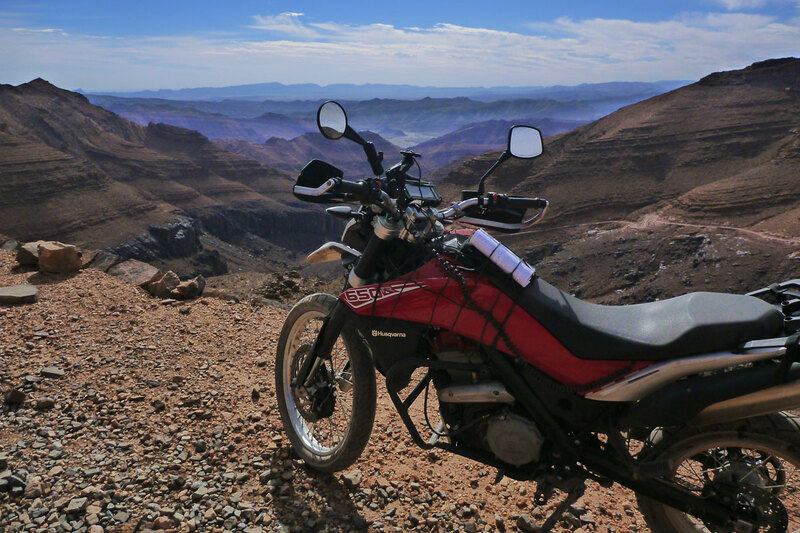 Today it was the easiest 470 miles I’ve ridden since I came back this way from Morocco on the F650 twin a couple of years ago. No wonder Spain went bust – they spent it all on great roads and I passed more unfinished. They say motorways are boring, but they’re also free of any ‘sorry-mate-I didn’t-see-you’ perils and so quite restful if the bike is comfy and the weather fine. It’s good to be reminded what it’s like to leave for distant lands, even if it’s only Morocco. All the usual anxieties flit about, then – with years of doing this under your belt – you relax until the next challenge and the one after that. And so it could go all the way to Cape Town or Vladivostok. Gaining confidence with each new hurdle as you master the game with satisfaction, energised by the newness of things. 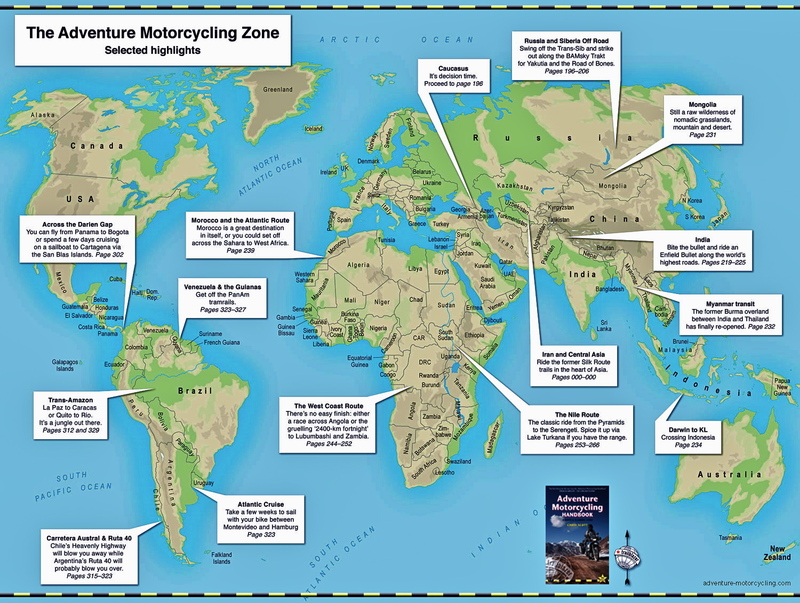 It’s what they call adventure motorcycling. The fuel consumption has taken a hit – down to 20kpl or 56.5mpg – nearly the X bike’s lowest ever figure. But that’s the only way to eat the miles if I’m to be in Marrakech by Tuesday. Partly this may be down to the fuel richening booster plug I fitted at the start of the summer, though I realised the the tyres were a bit low. I won’t begrudge the engine-cooling properties of a richer fuel mixture down in Morocco, but when I come back in December I’ll temporarily unplug it and see if I can detect the slightly harsher engine response along with better fuel consumption. As always I fail to get into Spain, and I’ve been trying long enough. This time I’m on a mission, but over the years I’ve taken various cross-country routes looking for something arresting. But it’s the same old high plains – farmed or grazed and interspersed with higher ranges or deeper valleys. What few towns and villages there are tightly clustered around a hilltop church. Ride in and no one’s around. I’m reading a book about an 18-year-old Scottish anarchist who came here in the 1960s with a bomb in his backpack to do in Franco. He found something arresting all right. 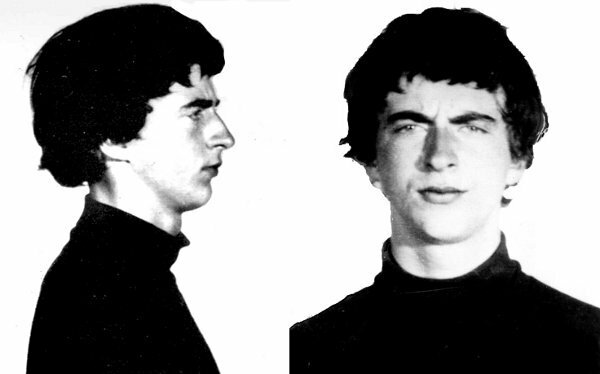 Lucky not to be executed or simply disappeared as 1000s of others were, he got 20 years but was out in three and seemingly had a great time in jail advancing his political education. Ironically back then prison was the only place in Spain where people could talk freely away from the secret police. They’d already been caught. Our man was sorry to say goodbye to the inmates. Less Midnight Express – more Express Checkout. Perhaps in Spain it’s the people more than the land that give the place its appeal – not something you’ll encounter averaging 95 clicks to an hour. But right now with a Euro 25 to a pound, Spain is as cheap as ever. Did the acute financial collapse here bear down on prices? Two lip-smacking coffees, big bun and a fresh OJ – 2 quid por favor. Overnight hostal around £25. Fuel about 20% less than the UK. And at a balmy 20 degrees plus few tourists to be seen, big bike touring here right now could be a treat. Another interesting X-factoid for you. Using a satnav reveals the speedo is about 8% over – you’re not going quite as fast as you think. But today I finally got round to calibrating the odometer against the roadside PKs which are accurate to within ambient thermal tolerances (and more accurate than a GPS for this task). It’s how you establish your true mpg and so, range. Over 180kms the odometer was just 3 miles out, reading 109 for the 112 miles I actually covered. It makes you think if they can get it that accurate, the over-reading speedo must be deliberate and factory set just within the (UK) legally allowed error of 10%. So you always think your bike is a tad faster than it is. The big question is how will the X machine manage Morocco’s rocky pistes. Somehow I’m not convinced it will be an improvement over the rorty 21-inch Husky Terra I used last year. I had a blast on that bike – same engine and power, near enough – but as heavy as my modified X bike is now. As always the compromise is in the getting there as well as the being there. I’m just about to cross from one to the other. This entry was posted in AMH News, Project: BMW Xcountry and tagged BMW X-country speedo accuracy, BMW Xcountry fuel consumption, BMW Xcountry odometer accuracy, booster plug, spain. Bookmark the permalink.